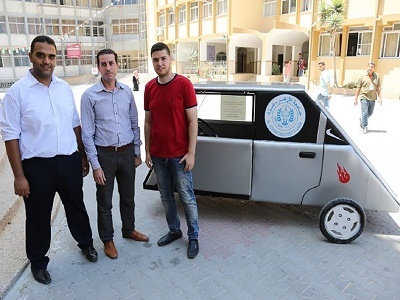 Two students from Al-Azhar University in the center of Gaza are seeking to swerve the energy limitations that have plagued the area for years by creating a solar-powered vehicle on a limited budget. Working with the institute’s Mechatronics Engineering Department, Khalid al-Bardawil and Jamal al-Miqaty have created a single-seater vehicle that runs off solar panels on its roof. The three-wheel solar-powered vehicle may only be able to reach a top speed of 18 mph, but the project is an innovative step in tackling restrictions on daily life in the Palestinian territories. 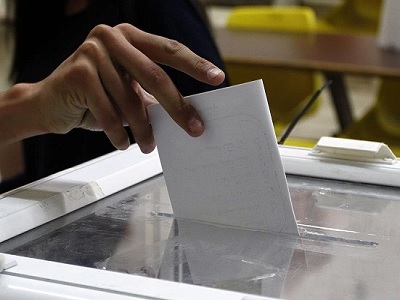 A statement by the Al Azhar University reveals that the idea of a solar-powered car was inspired by the “chronic electricity deficit” and “diesel shortage” plaguing Gaza. The solar car prototype comes as Palestinians continue to suffer an energy crisis exacerbated by an Israeli airstrike on the Gaza’s only power plant in 2006. 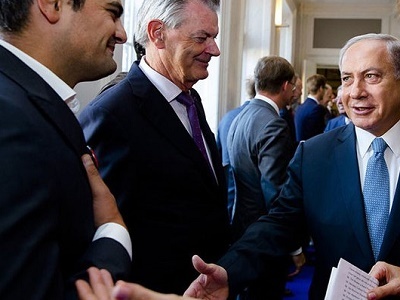 According to the United Nation’s Office for the Coordination of Human Rights, last year the Gaza Strip only received 45 percent of the electricity it needed to sustain its population.